Hey everyone, Jim here! I wanted to write a post that means something to me and I hope you enjoy it. A question I get asked a lot by people is “are you going to learn Haitian?” And the first thing I always a say is there is no such language as “Haitian”, people in Haiti speak “Haitian Creole”. 🙂 And the second thing I say is yes, one of the most important things we are doing and will continue to do when we get to Haiti is learn the language. I realized early on in my calling as a missionary that it’s not only fun to learn the language of the people you will be around, but it also allows you to develop relationships with people. A Haitian friend of mine asked me why I wanted to learn about Haitian culture and language so much. I said when I am speaking to him through a translator, we are having a conversation, but in reality I am speaking to the translator, not to him. But when I speak Krèyol (the Haitian Creole spelling) with a Haitian, I am able to speak directly to him/her and it’s a two way conversation not a three way conversation. In this way we can build a relationship, even if it’s for a moment. I have also learned that if you have learned, or tried to learn some krèyol, most Haitians are extremely grateful because you have taken the time to learn the language of Haiti. 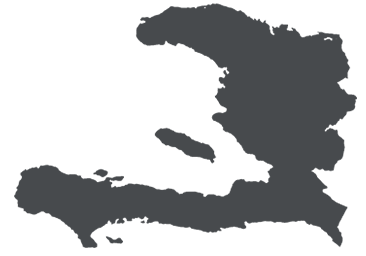 A little bit of background of Haitian Krèyol, is that it is a language comprised of a mixture of mainly French and some African dialects. When the French ruled (1697-1804) the western third of Hispaniola (the island Haiti is apart of with the Dominican Republic), they brought over slaves from Africa. These African slaves were from all over the west African coast and didn’t speak the same African dialect, but through time they picked up French and mixed it with some of the African dialects and voila, Haitian Creole was born. Then you might ask, “how do you learn Krèyol when you aren’t in Haiti?” I am glad you asked 🙂 When we returned from our first trip to Haiti in 2016, I was so frustrated from that trip because I couldn’t speak Krèyol and I wanted desperately to talk to Haitians when I returned, so April got for me an online learn Haitian Creole course called HaitiHub. It has been a great learning tool! We also have gotten another online course for April and I called Learn Haitian Creole by Gloria, as well as a Learn Haitian Creole for kids for the boys! Zeke already knows some Creole because since he was born I have only spoke Krèyol to him. I did this because I wanted him to be bilingual and comfortable around Krèyol speakers when we move to Haiti. God has blessed me with being able to learn a lot of Krèyol here in the states, but I look forward to becoming fluent in Krèyol. I know the only way to do that is full immersion, So I can’t wait to move down! Previous postCome hear us speak tomorrow! Other than it was close to French, I knew nothing else about Hatian Creole.